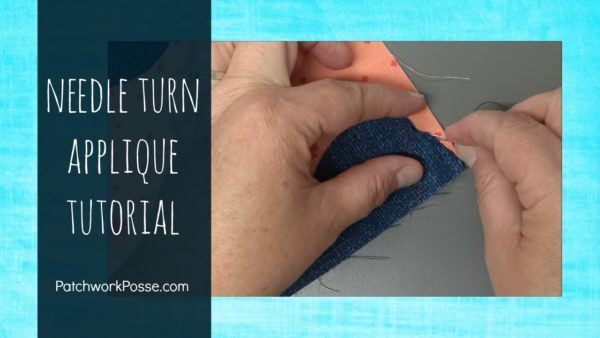 How to Needle Turn Applique - It's not as hard as you think! 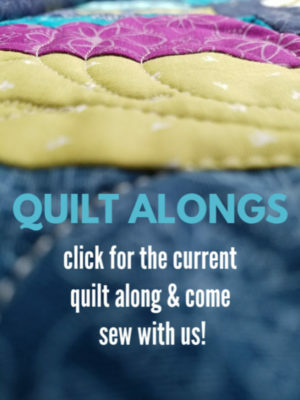 In this video, I’ll show you how to needle turn applique. There are a couple of different ways to do this, this is my process. I am totally NOT a pro here– I’m still learning, thus my stitches aren’t perfect, and neither are my edges around curves. It takes a bit of practice, so give yourself a break if it isn’t quite working out how you’d like. 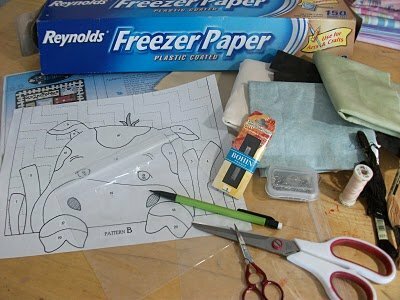 You’ll trace the template, cut the fabric 1/4 inch outside of the drawn line. I then layered the fabric- did a few dots of glue to keep in place, turned it over the wrong side and then stitched with some weird colored thread on the line. This is NOT the final stitch. 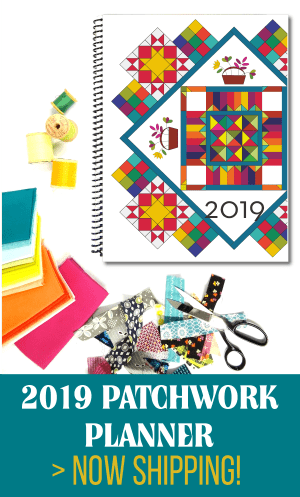 This is just to keep it in place, and because you are stitching on the line that it will fold, it kind of makes the fabric do what you want later. I remove the first couple of stitches, and on the right side- fold under that area that the stitches are removed. 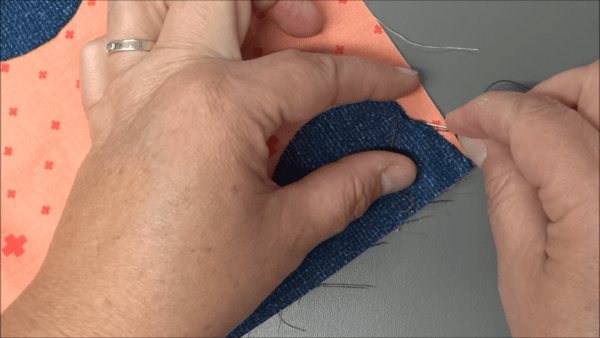 Take a stitch – catching the backing fabric as well as the edge of the applique piece. Repeat this process until you are around the shape. 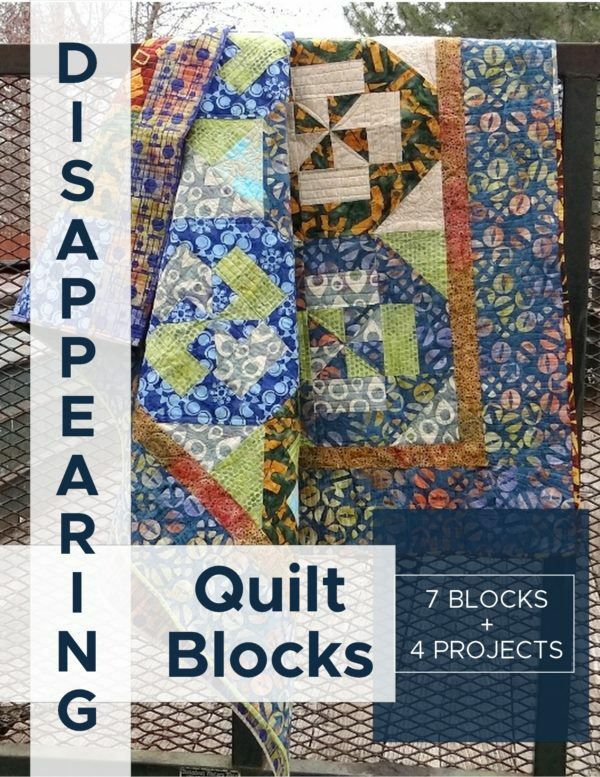 At corners or points, you’ll want to play with the placement of the fabric. There are sometimes bulky spots which you may want to snip very carefully with scissors. Or ease that extra fabric in place with your needle. At the valley areas, you may need to snip the fabric so it will actually make that valley. When you are stitching this, make a couple of stitches in there to fill in the area that is missing because of the snip (it looks a little thread bare, or there are threads sticking out because of raveling). Tuck those little threads in, take a couple of stitches to secure and fill in. *match your thread to the fabric you are appliqueing. This way you can fill in areas like the valleys with thread and it won’t show. Also, it hides the stitches that might end up more on top then on the side a little more hidden. 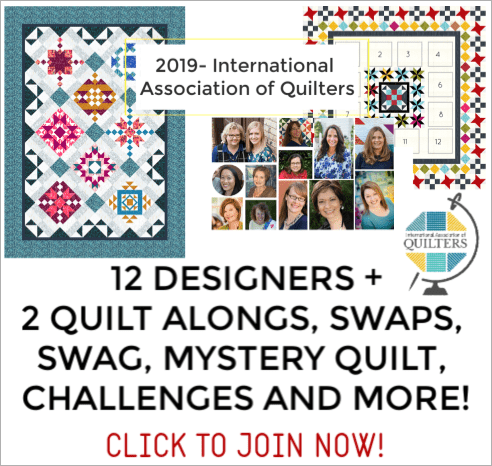 Have any hints for needle turn applique?